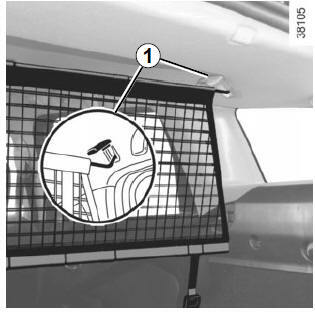 On equipped vehicles, this can be used when transporting animals or luggage, to separate them from the passenger section. behind the rear bench seat. 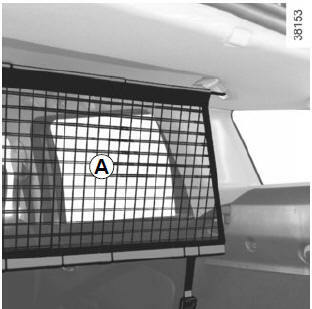 The luggage net is designed to retain a maximum weight of 10 kg. adjust the net strap so that it is taut. 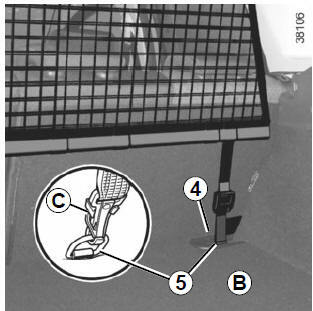 adjust the net strap C so that it is taut. 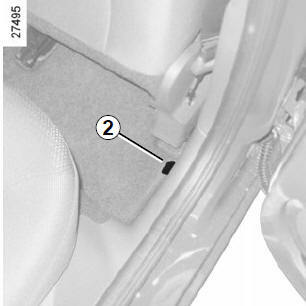 A marking on the boot floor indicates the location of the seat rings ISOFIX 6 and luggage net 7. 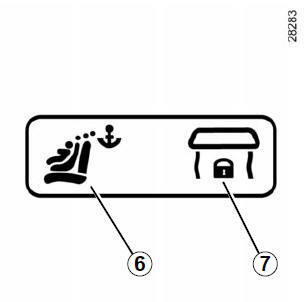 A marking on the mobile floor indicates the location of the access flaps for the seat strap ISOFIX 6 and the luggage net 7. 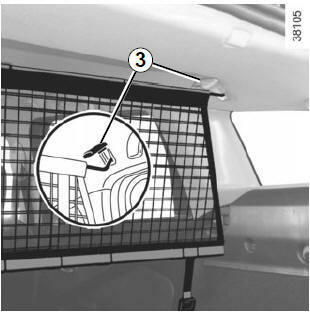 The luggage net must not be used to restrain or hold objects.